Angalia is 24 years old. She lives in Nairobi, Kenya, where she makes her living selling secondhand clothes. But her former way of life was much different. Like too many young Kenyan women, Angalia turned to prostitution to survive. Not only did that career prove insufficient to pay her monthly bills, it left her feeling guilty. She distanced herself from attending church as she had during childhood. Now she felt unworthy of returning. One day, during a chance encounter, someone invited Angalia to a monthly fellowship activity hosted by LHM—Kenya. She continued to attend. After several visits, she felt the Lord nudging her to separate herself from prostitution. Angalia participated in Reaching Rahab, an LHM program that helps young women escape prostitution through vocational training. Soon she had the skills she needed to run her own small secondhand clothing business, her current endeavor. She also completed our Bible Correspondence Courses, which helped her mature in her rediscovered faith. "I am happy that God by his grace has saved and transformed my life," Angalia says. "My family has accepted me back, and now I have a sense of acceptance and belonging." 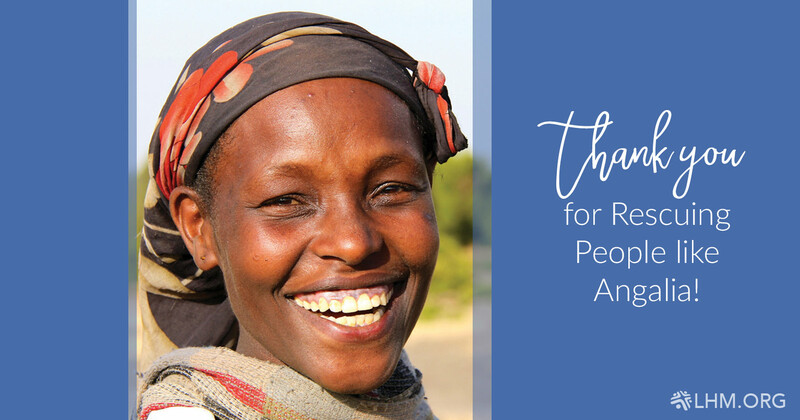 Your prayers and giving enable LHM to share Christ's comfort with individuals like Angalia - in Kenya, the US, and around the globe!